Bhutani Alphathum commercial project by Bhutani Group in Sector 90 Noida. 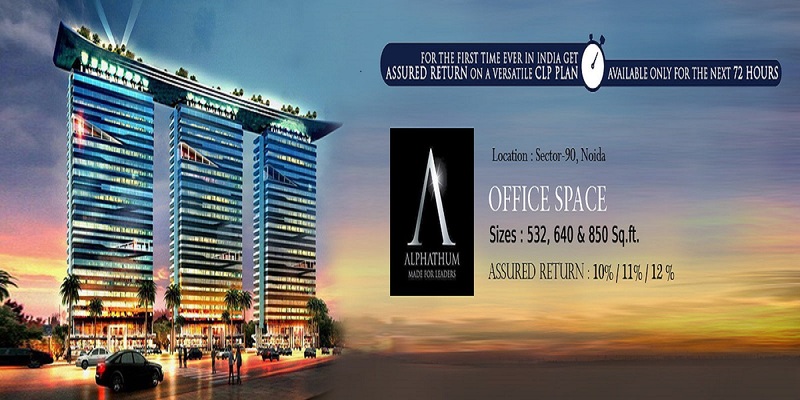 Alphathum Noida presents Office Spaces in multiple size options from 532 sq.ft to 850 sq.ft fulfilling the best technological and energy efficient parameters. Alphathum office spaces can be booked for Rs. 31.8 lacs only.